There was a time in my life when I thought I had outgrown pop punk music. I don’t know if I could pinpoint the exact day or month that thought first crossed my mind, but it occurred to me not long after graduating college and (attempting to) immerse myself in the so-called real world. For the first time in my life, the anthems of friendships, road trips, and living in the moment no longer rang as true as they once did. I had real problems, like unemployment and growing debt, neither of which were topics often found in the material from the Warped Tour ready bands I had been listening to up to that point. As a result, I grew a bit disheartened in the genre as a whole, and I slowly moved on to new, more relatable interests. Now twenty-seven, I have only recently found a new passion for the genre I once adored. It took some time away, and maybe it took the scene a while to catch up as well, but over the last year I have discovered a growing number of pop punk acts who write with the perspective and life experience of true adulthood running through every song. 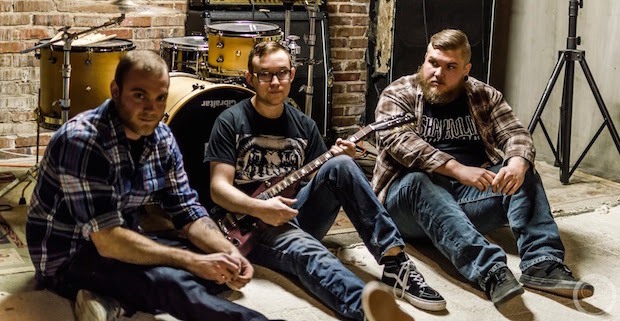 One of the best groups delivering this sound, No Tide, are set to release a new album titled Death Of The Sun on June 30 through Take This To Heart Records. We heard the album back in May and loved it, so today we’ve partnered with the band to share a new song titled “Daylight Savings.” It has the same infectious nature as the bands currently gracing the cover of your favorite alternative zine, but there is also a depth to the music that is rarely found in the albums currently produced by their many peers. You can stream the song below. Death Of The Sun is available now for pre-order, and only a fool would be silly enough not take advantage of that opportunity. Bands like No Tide deserve to be far more recognized than they are today, and we are hoping you will aide us in making sure their name is known far and wide. Don’t let us down.